The reunification of the Crimea and Sevastopol with Russia five years ago is of great importance for strengthening the country’s defense. 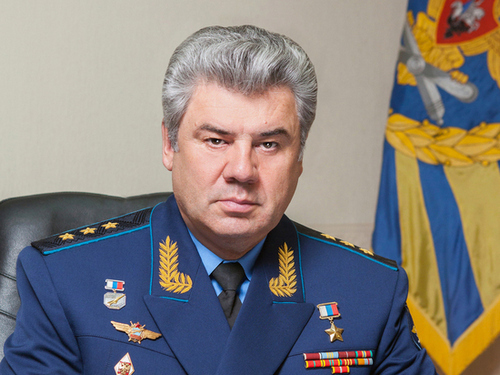 This was told by the chairman of the Federation Council Committee on Defense and Security, the former commander-in-chief of the VKS, Army General Victor Bondarev. According to the senator, the Crimea is “invaluable in strengthening the defense capability of Russia.” “The geographical location of Crimea gave us strategic control over the entire Black Sea region, over the sea and airspace in the Black Sea region, over ports and military bases,” said Viktor Bondarev. According to him, Russia had the opportunity to effectively fend off threats from the south and south-west. “While the Crimea and Sevastopol were part of Ukraine, our Black Sea Fleet was stationed there on unfavorable conditions for us with a constant risk of non-renewal of the contract, was a secondary combat force with a very mediocre military-defensive potential, which was inferior both in terms of tonnage and number of attack units, and in terms of quality and combat characteristics, ”said the senator. Now, he said, the situation has changed dramatically. Now in the Crimea is based a strong grouping of our troops, which is constantly being strengthened. In the Crimea, deployed anti-aircraft missile systems S-300 and S-400, “Buk-M2”, “Pantsir-S1”, operational-tactical missile systems “Iskander.” Also here are the anti-ship coastal missile systems “Ball” and “Bastion”, equipped with ultra-modern, including hypersonic missiles. With the development of the military potential of the region, emphasis was placed not only on the deployment of warships, but also on the construction of coastal defensive facilities. This combination, according to the senator, “does not leave a single chance to a potential enemy, who dared to attack Russia from this direction, protects our south-western borders and guarantees security in the macro-region”. “Today, the Black Sea Fleet is a serious, powerful defender of the south-western part of Russia,” said the former commander-in-chief. He recalled that in response to the deployment of American antimissiles in Romania, the Russian Defense Ministry deployed a squadron of Tu-22M3 long-range missile-carrier bombers in the Crimea, at the Guards airbase. “This step radically changed the balance of power in the region. The radius of combat action of the Tu-22M3, the range of cruise missiles on board, allow it to carry a warhead to any point in Europe, thereby hitting any object of enemy missile defense and air defense systems. And taking into account its modernization over the next few years to the level of the Tu-22M3M and equipping it with new types of aviation weapons, it will become a universal tool for strikes at all types of targets at a distance of thousands of kilometers, ”said the former commander-in-chief of the VKS. He reported that, in addition to the bombers, the fleet here is represented by MiG-29 and Su-27 fighters. “Today, Russian military systems fully control the Black Sea, and the Crimea has become our“ unsinkable aircraft carrier, ”the senator concluded. “The American“ metropolis ”would have deployed its military complexes there with lightning speed … The US dreamed of creating a military base in the Crimea. Restrictions on the use of Tomahawk cruise missiles do not allow keeping the European part of Russia in the affected area. And, of course, this problem would be solved by the basing of the NATO group in the Crimea, ”the senator explained.